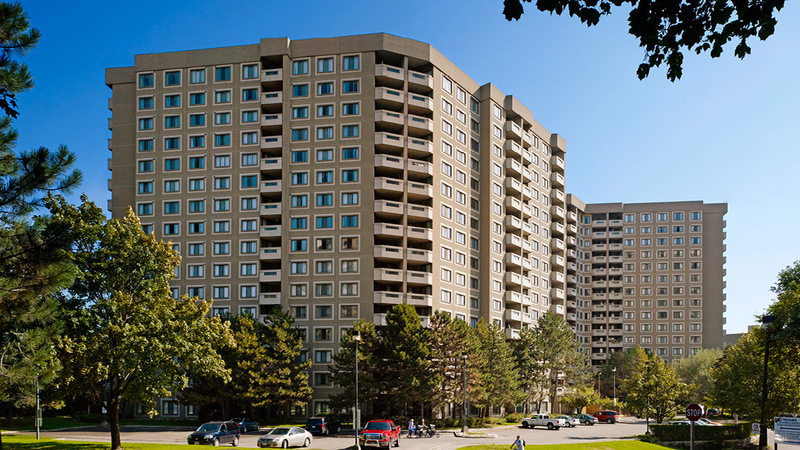 The Valleywoods: Enjoying a tranquil parkland location, yet so close to Mississauga's city centre, The Valleywoods is a prime opportunity for sophisticated rental living in The Mississauga Valley. Whether enjoying the manicured grounds, cycling through surrounding trails, walking in the woods or just taking in the gorgeous natural panoramas from your balcony, this is an ideal location to call home. Spacious and thoughtfully designed suites offer ample storage and great views. The amenities include a party room, guest suite, games room, workout facilities, an outdoor pool with changerooms and saunas, and more!